It is estimated that there are over a billion personal computers in the world at present. In developed countries these have an average life span of only 2 years. 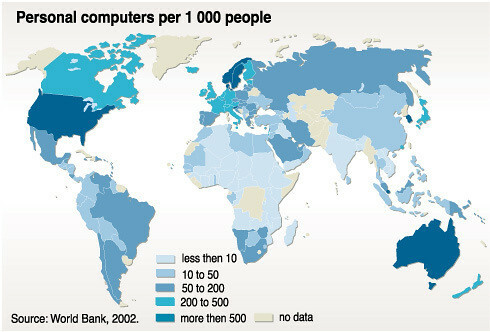 In the United States alone there are over 300 million obsolete computers. (US National Safety Council).